(This article is the third in a series of three articles on New Age psychotherapies. The first is The devastating New Age turn within psychotherapy – the second is Regression psychotherapies). Cathartic psychotherapies are based on the notion that if you express your feelings you will purge yourself of your troubles. We have probably all heard this because psychotherapy today have spread far out over its disciplinary limits, and have become a part of an ideology, that thinks it have to take care of, not just psychological problems, but also philosophical, political and religious problems. In schools and in workingplaces we are for example forced to lay bare our feelings on the slightest occasion. Cathartic psychotherapies are therapies such as Primal therapy, Gestalt therapy, Experiential psychotherapy, Holotropic Breathwork, Energy breathing, etc., etc. Psychotherapy is a branch of psychology, and therefore something scientific, which has to be empirically tested (see my article The devastating New Age turn within psychotherapy). The problem is that there is no evidence for the notion that you will purge yourself for your troubles if you express your feelings. On the contrary. The notion seem disproved by experiments with children, which find that rather than sublimate aggression when encouraged to be aggressive, the children become more aggressive. Why is that? The problem is that cathartic psychotherapies are neglecting the importance of thoughts. Feelings are the body´s reaction on the mind (the thoughts). Feelings arise where the mind and the body meet. They are reflections of the mind in the body. Feelings can also be a reflection of a whole thoughtpattern. A thoughtpattern can create an enlarged and energycharged reflection of itself in the form of a feeling. This means, that the whole of the thought´s past also can create a reflection of itself in the body. And if this past is filled with pain, then it can show itself as a negative energyfield in the body. Eckhart Tolle calls this the emotional painbody. It contains all the pain you have accumulated in the past. It is the sum of the negative feelings which you have ”saved together” through life and which you carry. And it can nearly be seen as an invisible, independent creature. Therefore we also could, as H.C. Andersen does in his fairy tale, call it the Shadow. The painbody is the expression of suffering itself, as well as an expression of violence (see my articles The emotional painbody and why psychotherapy can´t heal it and Suffering as an entrance to the Source). Therefore you should of course not seek to activate your painbody, as the cathartic psychotherapies believe you should, because they thereby also activate the negative thoughtpattern behind the painbody. The painbody lives of, that you are identified with the negative thoughtpattern behind it. In this way the painbody gets your energy. And for that reason you also give energy to your negative feelings, when you activate your thoughtpattern. Negative feelings will in other words increase if you express them. And the painbody is, through the inner evaluating ego, which the painbody is constructed around, connected with the more dangerous dephts of the collective history of the astral plane. The energies found here are unfathomable, and when you direct them into your painbody, you are really facing problems (see my article Spiritual crises as the cause of paranormal phenomena). Instead you should relate completely neutral in relation to your painbody, and through critical thinking seek to explore, re-structure and change the inappropriate basic assumptions, rules of living and thought distortions, which are the thoughtpattern behind the painbody. That is how philosophy and true spirituality works (see my book A dictionary of thought distortions). Also read the philosophical question What are feelings? in my book Meditation as an Art of Life – a basic reader. My articles A critique of Stanislav Grof and Holotropic Breathwork and James Arthur Ray and the sweat lodge tragedy are showing the dangers involved when using Cathartic psychotherapies in a spiritual context. In the following I will, with Margeret Thaler Singer´s and Janja Lalich´s book Crazy Therapies, as a frame of reference, go into a closer examination of different kinds of Cathartic psychotherapy. 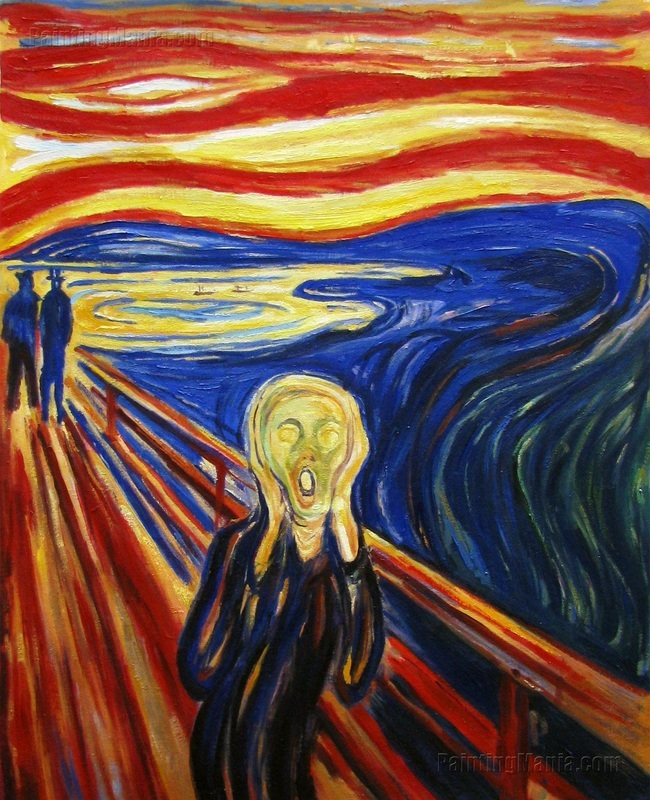 4) What About Scream Therapies? As mentioned: some therapists promote the idea that airing your feelings will correct many problems, both intrapsychic and interpersonal. Emotional ventilation is supposed to relieve inner miseries. These therapists seem to assume that negative or bothersome emotions are like moths in old clothes: shaking the old clothes out and hanging them on the line to air them will make the moths go away. But is the same true for feelings? Of course it can be helpful to talk about how we feel or to tell a therapist about our deepest or most troubling thoughts. Indeed, under certain circumstances with certain persons, beneficial results may ensue. But first, remember that talking and acting out are two different things. And second, this rather widely held notion that expressing feelings willy-nilly is just great is simply not backed up by research. Yet, a host of therapy procedures are derived from assuming that this ventilation brings genuine, positive healing. The venting notion did not originate with therapists; it has roots in the Greek concept that watching a stage play and emoting along with the story serves a cathartic purpose. Aristotle felt that viewing a tragic drama would allow catharsis to occur for the audience, draining off especially pity and fear. Psychotherapists use two terms – catharsis and abreaction. Catharsis is a purifying or figurative cleansing of the emotions. Abreaction is the realease or expression of supposedly repressed ideas or emotions that are believed to be causing conflict in the person. Letting out thoughts and feelings in words, behavior, or the imagination is the desired aim. Letting it out, or venting, may take many forms, and as with other crazy New Age psychotherapies, most practitioners who hold that catharsis is curative tend to add a personal twist. Although most people probably associate painful feelings with some kind of cathartic experience, one innovation, the Mystic Rose, incorporates laughing and silent meditation into the process. Based on the teachings of the late guru Bhagwan Shree Rajneesh, the assumption behind Mystic Rose is that extended fits of laughter and crying jags are doorways to personal transformation. Rajneesh had a large following and a lively commune in central Oregon in the 1980s. One historian noted that many Rajneeshees came from the “caring professions,” were social workers and psychotherapists. But maybe such a naivety was the reason for why former member of the Rajneesh cult, Richard Price, considered the encounter groups taking place at the Rajneesh Ashram in India to be authoritarian, intimidating, and violent. He observed and had learned from former members that violence was being used to enforce conformity to an emerging new order rather than to facilitate growth. Price described witnessing broken bones, bruises, and abrasions. He remarked that Rajneesh´s professed compassion was not reflected in his groups. And maybe such a naivity was the reason for why the Rajneesh cult in Oregon attempted to poison the water supply in the town of The Dallas and harm public officials in Wasco and Jefferson Counties for carrying out the laws of the state, which the group didn´t want applied to them? Over the years all kinds of venting notions have been put forth. Letting it all out in one way or the other became a goal in and of itself. And if clients were resistant, their therapist or their fellow group members would prod them on, sometimes not so nicely. Most recently, with the advent of inner child therapy, generally attributed to John Bradshaw and his admirers, props of all sorts have been adopted to encourage the patient to play the role even more fully. Therapists themselves have engaged in this behavior, often serving as role model for their clients. One woman stood out with the unusual doll. She had a huge stuffed monster doll hanging over her arm. The creature was made up of a mixture of clothing and fur and had a completely distorted monster face with protruding eyeballs and scary teeth. The woman´s nonverbal behavior was also eye-catching. She strode in long, strident steps, much as musical comedy singers would stride onto the stage announcing some feat. Bouncing on the woman´s arm as she angrily strode along, the large doll was very ugly but obviously expensively made. When asked about the doll, the woman replied: “It´s my monster mother. I carry this day and night so I won´t forget what a monster my mother was to me. My therapist has me do this because I keep thinking good things about my mother and forgetting how she was. But I say now: ´This is my monster mother. I won´t forget what a monster mother my mother was to me!´” She was engrossed in the role and delighted to vent venom on her monster mother. She strode off, the doll dangling and banging against her thigh. This kind of venting – whether of hatred, anger, frustration, sadness, or even joy – if taken too far can result in extreme behavioral problems, exacerbated personal difficulties, and emotional instabilities. Often the client gets a lot worse before getting better, and he or she usually gets better only when the venting behaviors are stopped. Much of the background and beliefs about psychotherapy as it is practiced today by many therapists grew out of theories of personality developed in the late nineteenth century. Those outmoded models of how the mind, emotions, and body work were based on the hydraulic models of that time. When Freud, Jung, Adler, and others were theorizing, feelings and the mind were conceptualized as akin to fluid in a bottle that would leak over the top if the bottle got too full. Twentieth-century science brought us other models – such as cybernetic and systems models – that more nearly represent how the complexities of the human mind and body are organized. The simple water-pressure, hydraulic model is an inadequate, inaccurate model for human functioning. Yet the impact of the period in which those early pioneers in psychotherapy wrote continues to color and actually to distort some of the constructs used today to explain behavior. One misconception is that letting it all out will make everything better. The cathartic idea was reinforced both by the age-old folk belief that seeing a tragic drama would assist people in releasing pent-up emotions and by the perpetuation of the unfounded theory that such emotional purging was a universally useful and efficient technique. The last quarter century has seen the emergence of all sorts of “let it all out” therapies, ranging from therapists teaching people to scream and beat pillows to therapists teaching people to confront each other in groups and in other ways “abreact” and “cathart.” The idea of expression through vividly emoting is central to these ventilation therapies. The faulty assumption is that it is beneficial for a person to air anger and hostility. Another variant of the confrontation therapies appeared in the commercially sold large group awareness training programs such as Mind Dynamics, Direct Centering (aka Bayard Hora Associates, aka The Course, aka Naexus), Arica Institute, Insight Seminars, and Lifespring. These programs were sold to hundreds of thousands of customers over two decades, and some still exist in old, revised, and new forms (read my article Neuro-linguistic Programming (NLP) and Large Group Awareness Training (LGAT)). Marketed to individuals, organizations, and business and industry as experiential education, they typically use powerful psychological and social influence techniques, not always bringing about the advertised claims of success and profit to the buyer, and sometimes bringing psychological distress to the clients. Varieties of these confrontation therapies and self-awareness programs are still with us two and three decades later; in fact, they´re going strong. One variant of let-it-all-out therapy became all the rage in the 1970s. It was known as scream therapy, and many professionals and celebrities were taken with it – probably the most well known was singer and songwriter John Lennon. The popularity of scream therapies, at least to some degree, might be attributed to the times. The 1960s and 1970s were times of demonstrations, protests, barricades, and cries of “revolution.” Primal Therapy was a method that would let the customer feel, experience, and let out all those feelings of rage. Arthur Janov, the originator of Primal Therapy, even title one of his books The Primal Revolution. A number of scream therapies have gained considerable attention and followings. First were Janov´s Primal Therapy and Daniel Casriel´s New Identity Process. Nolan Saltzman then developed Bio Scream Psychotherapy out of Casriel´s work. There are yet other variations and formulations that have developed over the years. Each of these therapies is touted by the originator as opening the road to happiness and mental health. Arthur Janov, a psychologist and psychiatric social worker, claims to have “discovered” primal therapy. It is another one of those therapies based on therapist observations of the conducts of one patient. At least Janov reports confirming the idea of a second patient. He then taught, and continues to teach, the method to countless others, professing that this is the best and only useful therapy to cure mental illness. Soon Janov tried the technique again on another patient. Gary called for his mommy and daddy until “he was breathing faster and deeper. His calling turned into an involuntary act that led to writhing, near-convulsions, and finally to a scream,” wrote Janov in his best-selling book The Primal Scream. According to this theory, smothered feelings prevent the experience of emotional well-being. So patients are brought together in group therapy, and by screaming they learn to feel and express feelings and to demonstrate the basic attitudes just noted. As with many therapy inventors, Casriel feels that his plan is universally useful for all except the brain damaged, explicitly noting that it is for “normals,” delinquents, alcoholics, addicts, and character-disordered and “functional” schizophrenic persons. Nolan Saltzman began Bio Scream Psychotherapy as a more supportive, warm use of screaming than he felt was produced by Janov´s and Casriel´s versions. Saltzman thought that Casriel´s method was highly confrontational and too hostile and humiliating for many patients. Saltzman calls his process “Scream/Love” or “S/L.” He wanted screaming to lead patients to abandon defenses and to feel supported in a warm, empathic group. Saltzman´s scream therapy can be done in one-on-one sessions with the therapist or in a group setting, with the good feelings and support coming from the therapist or the group to the screamer. Saltzman promoted three venues for screaming. In one method, patients are taught modal phrases, such as “I´m scared,” “I hurt,” “I´m angry,” and “I feel good.” One phrase is selected and repeated louder and more rapidly until the therapist leads the person to a complete release. In a second method, the patients are directed to figure out what they want to say to a significant other (such as mother or spouse) imagined to be sitting before them in a chair. The therapist helps patients identify their emotions related to what´s being said. Then patients are to repeat that over and over until the scream evolves. A third method involves having patients lie on a mat on the floor. The therapist may hold a patient´s hand while evoking the scream. Saltzman is more modest in his claims for who can profit from his Bio Scream method, saying that it is not for psychotics and that it is not a miracle cure. There is a special mechanism at work here, known from the thought distortion called Subjective validation: the desire to please the therapist. This may be due partly to the consideration that by pleasing the therapist, the odds increase that the therapist will succeed in his work. But it may also have to do with a strange phenomenon that occurs in settings where a person gives up control of the situation to another, as in hypnosis or when being asked to assist a magician do a trick (see my article Hypnosis, hypnotherapy and the art of self-deception). There is sometimes a kind of loss of self in those situations, and combined with a desire to please, a kind of submission to the will of another, up to a point. If such a mechanism is at work in therapy, the client may acquiesce to the suggestions or items thrown out by the therapist, not because they are true or truly significant, but out of a desire to please (read more about Subjective validation in my book A Dictionary of Thought Distortions). Even with this apparent understanding, Hart and his colleagues proceeded to develop their ideas of “feeling therapy.” Hart and cofounder Richard Corrierre referred to themselves as the Butch Cassidy and Sundance Kid of psychology. They and other center leaders claimed that patients could reach the next stage of human evolution only by following the therapists´ dictates. The Center for Feeling Therapy followed Janov´s method of having the new client stay in a secluded motel room alone for three weeks of intensive daily sessions. A new client of the center met with a therapist in marathon three- to seven-hour individual sessions in which the person was attacked, criticized, and belabored. Deprivation was enforced during this period and afterward. Alone, when not in therapy sessions, the client was not to smoke; drink alcohol, coffee, or tea; watch TV or listen to the radio; or talk on the phone. These techniques made the therapy seem mysterious and frightening, and caused the client to enter into an anxious state. Over the next ten years the center grew quite successfully. There were 350 patients living near one another and sharing homes, hundreds more were nonresident outpatients, and still others communicated with center therapists by written correspondence. The central theme foisted on clients was: if you do not live from your feelings, you are insane - (in my articles Humanistic psychology, self-help and the danger of reducing religion to psychology, Neuro-linguistic Programming (NLP) and Large Group Awareness Training (LGAT), and The New Thought movements and the law of attraction - I show the ethical problems involved in such a point of view). The leaders wrote books and lectured, and their power over the patients grew until the group was described as a cult and charged with scads of alleged mental, physical, and sexual abuses. All twelve therapists associated with the center lost or surrendered their licenses (in my article The devastating New Age turn within psychotherapy you can read about persuasion techniques used within psychotherapy cults). Today there are several high-priced institutes where a person can both engage in and study variations of scream therapy, and a number of therapists still bill themselves as doing primal or scream therapy in individual or group sessions or sometimes a combination of the two. “A couple of years ago, my wife, ‘Betsy,’ was in a women´s support group which was into exploring feelings and expressing everything. It was a continuation of an important interest Betsy had developed in college. She complained I was too taciturn and needed to get into primal or some other really expressive therapy where I could learn to feel and to show my feelings. “So I began therapy with a female therapist recommended by Betsy´s women´s group leader. Neither the philosophy of the therapy nor the techniques seemed to grab me. The therapist assured me that I would become a new person when I finally achieved a ‘primal.’ I would never be moody again, she said. The therapist also advised me that I didn´t have to see my parents ever again since they had so failed me. I tried to tell her about my happy childhood but she´d rasp at me, ‘Matt, you are in denial!’ I really had a good childhood. I loved my father and mother and two older brothers, and in the therapy sessions I simply couldn´t locate deep pains or feel the required deep rage against them the therapist said was buried in me. “I went through the motions for about eight sessions, both seeing her in individual sessions and dutifully attending what I call ‘group laydowns.’ Pandemonium reigned at these weekly gatherings, with unleashed screams and moans, including mine. My voice got scratchy from my efforts at screaming out, trying to get a primal. “The therapist urged me over and over to feel my anger. She then left the area for a better job and I was spared further treatment. My wife, oddly enough, thought I had made great progress and let up on trying to get me to see anyone else. All I can say is that I felt like a phony trying to please the therapist, trying to scream like she wanted, trying to feel deep pain and deep anger. All I could tell was that it got to the point that when my wife began to badger me about something, I began to express almost instant anger toward her and really told her off fast. “‘Rita’ had been depressed when she was in junior high school, again in high school, and two times during college. Two of her sisters and her mother were on medication for depression and doing fine. We married when we were both twenty-four. I had known Rita since grade school. My folks knew her parents. They were from the South, bright and talented, but they had, as they put it, ‘the family condition,’ meaning some of them were prone to periods of black, hopeless depression. It was mainly Rita´s mother´s family, but actually both sides had some depressed people. These depressions seemed to snap on like a light, and turn off just as abruptly. All in all, the relatives were okay folks; none was what you´d call ‘neurotic’ – by that I mean complaining, sour, lazy, things like that. “Rita and I had a good marriage, until I got transferred to the West Coast. Rita went into a moderate depression. She didn´t want to go on medication like so many in her family. She saw an ad in a local giveaway paper for a clinic offering a whole roster of therapies. She went, and the woman who was her therapist told her that scream therapy would be the best for the type of depression Rita had, that she would not need medication ever if she completed the program, and that this treatment emptied out all the pain and sadness. “Rita came home from her first meeting feeling encouraged. But soon her therapist wanted her to stop talking with any relatives on the phone. The therapist even started bad-mouthing me, saying I lacked ‘complete feelings’ and needed therapy also and that Rita might have to separate from me to get well. This was unbelievable. The therapist had never even met me! Rita felt her therapist knew something about me that she, Rita, didn´t know; maybe the therapist treated someone from where I worked or something, Rita said, because the therapist would be so forceful about how bad I really was. “Things got worse and worse. I would leave Rita breakfast on a tray and a sandwich for lunch before I went to work each day. She only got out of bed to go to therapy. I tried to talk with her therapist and let her know how sick Rita was, but the woman wouldn´t speak with me. I even left a message saying I was afraid Rita would kill herself, she was so down. I spoke with a psychologist who shared an office with Rita´s psychologist and asked him to tell the woman I was worried and felt Rita needed to go into a hospital. I told him Rita was not allowed to talk to any of her family, so none of them could help me persuade Rita to see another doctor. He gave me a song and dance about how Rita´s therapist couldn´t talk with me, it would break confidentiality. He said I shouldn´t expect to ever speak with her. Catharsis theory in all its forms has been challenged repeatedly over the years. Evidence that expressing anger, violent behavior does not drain it away but increases the chances of its recurrence has been presented in the scientific psychology literature for years. Such research is apparently not read or accepted by the many therapists who continue to ply their ventilation trade. Ventilation by yelling and other acts of aggression does not help either children or adults to become less angry or aggressive. Couples urged to yell at one another feel more angry after practice, not less. Researchers in family violence and violence in general have been reporting for years that all the urging to vent pent-up anger only teaches people, both children and adults, to act out irrationally, to simply rehearse and demonstrate angry, aggressive acts. The human organism learns as it acts; the more a certain behavior is practiced, the more it becomes a part of the person´s automatic acts. Practicing being angry, then, is more like practicing swimming or riding a bicycle. One gets more proficient at it. Riding a bike does not rid one of the riding urge, rather it trains an expressive skill – and so does venting anger over and over. Demonstrating anger or any other feeling does not erase the vent or the interaction that elicited the anger or other emotion in the first place. The best remedies for “handling” anger generated by frustration or irritation with another person appear to be those that help people of any age better understand why another person acted as he or she did (in my article The Hermeneutics of Suspicion (the thought police of the self-help industry) and why I am an apostle of loafing I investigate the concept of anger and how to handle it by the help of rationality). Encouraging mild, placid, and rational people to “let go” and ventilate their rage only makes them feel worse if they do. In my article I´m not saying, though, that bottling up all of one´s anger, resentment, or frustration is the way to deal with such feelings. Rather, I believe that rational thinking (critical thinking, which uses logic and argumentation) assist people to find ways to talk with others, to change situations, and to identify socially useful and mature means to reduce anger-producing interactions and situations. My book A Dictionary of Thought Distortions is in fact a kind of manual in such a way of thinking. From a social influence vantage point, the let-it-all-out and attack therapies can have a major impact. Usually clients will have paid a fair amount of money for a therapy that might sound odd or bizarre to their realistic friends. Therefore, clients will feel a need to defend their actions and commitments, having made an open affiliation with the therapeutic practice and the therapist. During the course of the therapy, clients regress, become dependent, have their self-esteem and sense of self attacked and dimished, and to some degree lose touch with their previous everyday reality orientation. Nothing is the way it used to be. Social psychology is filled with data showing that once a person makes a commitment in front of others about a position or belief, it is more likely that a person will cling to that position. Imagine the degree of commitment made by people, who at their therapist´s command, rolled and moaned, beat cushions and each other, screamed, yelled, laughed, cried, insulted others, and were themselves humiliated and insulted. This phenomenon is based on the thought distortion called Cognitive dissonance. Cognitive dissonance is a discomfort caused by holding conflicting ideas simultaneously. The theory of cognitive dissonance proposes that people have a motivational drive to reduce dissonance. They do this by changing their attitudes, beliefs and actions. Dissonance is also reduced by justifying, blaming and denying. So, dissonance is aroused when people are confronted with information that is inconsistent with their beliefs. If the dissonance is not reduced by changing one´s belief, the dissonance can result in misperception or rejection of the information (read more in my book A Dictionary of Thought Distortions). In effect, clients are simply practicing expressing rage, anger, and pain in a dramatic scene that the therapist directs by reframing the clients´ activities to reflect what the therapist would have clients think is occurring. Because clients are persuaded by the status, power role, and credentials of the therapist, they tend to accept the therapist´s verbal explanations and assurances. Caught in the web of their own commitment to the therapy and the influential urgings of the therapist, once they begin to participate, people find it difficult to get away from these crazy confrontation therapies. Only later do some clients realize that they´ve been had and, in certain cases, badly abused. In general, if your therapist is telling you that you have to get worse before you get better, is tearing you apart rather than building you up, is letting group members insult and ridicule you, is insisting that you must go deeper and deeper and deeper to feel the feeling, or is doing anything that smacks of old-fashioned ventilation theories, get out as fast as you can and look for a supportive therapist who will listen and respond with human decency. But the theories of “if you do not live from your feelings, you are insane” have spread wide beyond the context of, for example, Cathartic psychotherapy. It is an integrated part of the self-help industry as such. It has become a philosophy of life, an ideology. Both therapists, coaches and clients within this industry, are uncritical using the theories outside contexts of therapy or coaching-sessions; that is: they are using them both in public and private discussions, as well as in education in schools, higher education and on workingplaces. In that way they end up in concealing power relations at the workingplace, they lead to difficulties assigning responsibility towards children in the schools, they reduce our spouses to means for our personal development, and remove political incitation and social responsibility by disguising social problems as personal problems. If a person really succeeds in adopting the advices of the self-help books (for example the doctrine “if you do not live from your feelings, you are insane”) she really gets a problem. Not only does she have to fight with the never-ending development, and the egoism. She is also becoming a serious problem for her surroundings. Because she is now, as the Danish psychologist, Nina Østerby Sæther, says, a potential psychopath. On a course about psychopaths Sæther realized, that there was many similarities between psychopathic traits, and the advices, which are given in self-help books. It made her point out some frightening resemblances. And she concludes, that the self-help books don´t have any alibi against producing psychopath-like, self-actualizing humans. The psychopathic traits are simply lying smouldering in the books. Her moral is, that the self-actualizing psychopath can be seen as an “actual social character in the Western society”, supported by a whole industry of self-help books (read more about this in my article Humanistic psychology, self-help and the danger of reducing religion to psychology). I have several times described my own personal experiences with abusive attacks from agents of New Age and the self-help industry, after I started my critique (rational and logical) on their theories and practices. Read for example my article The Hermeneutics of Suspicion (the thought police of the self-help industry) and why I am an apostle of loafing.